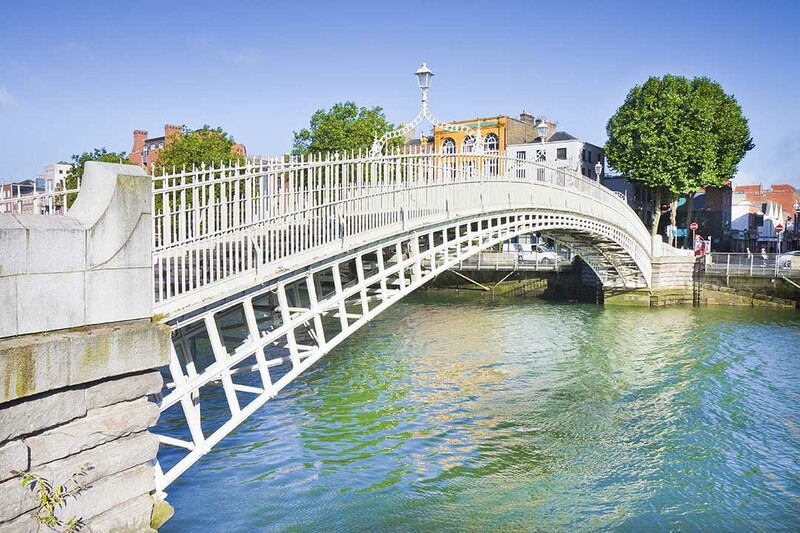 Dublin, the capital of Ireland, certainly delivers in Irish spirit, great food, and good fun. In between the traditional Irish music and the friendly atmosphere, you’ll find historic castles and quaint pubs full of stories of the past. On this trip, you’ll delve into the depths of Dublin (and a pint of Guinness or two) and discover why this city is the jewel of the Emerald Isle. *Please note, this holiday is classed as a land only therefore no flights are included with the tour price. This gives you the flexibility to depart from your nearest local airport. You will then meet the group at the hotel. On the day of our arrival into Dublin, check in is available at 3pm and we will meet at 6pm to go for dinner. This is where we’ll meet everyone and get excited for the next few days in Dublin! Today begins with a walking tour around Dublin. 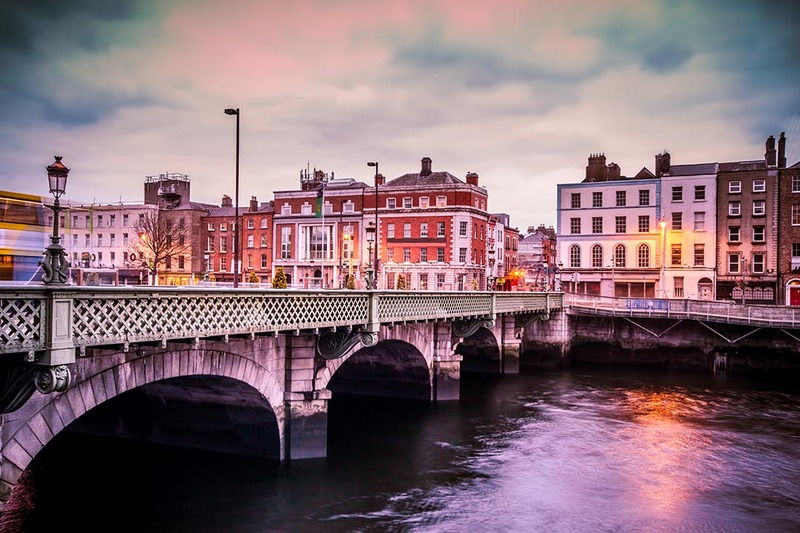 Not only will you discover the layout of this city but you’ll get your first taste of Temple Bar, the Spire Monument, St Stephen’s Green and many more iconic places. 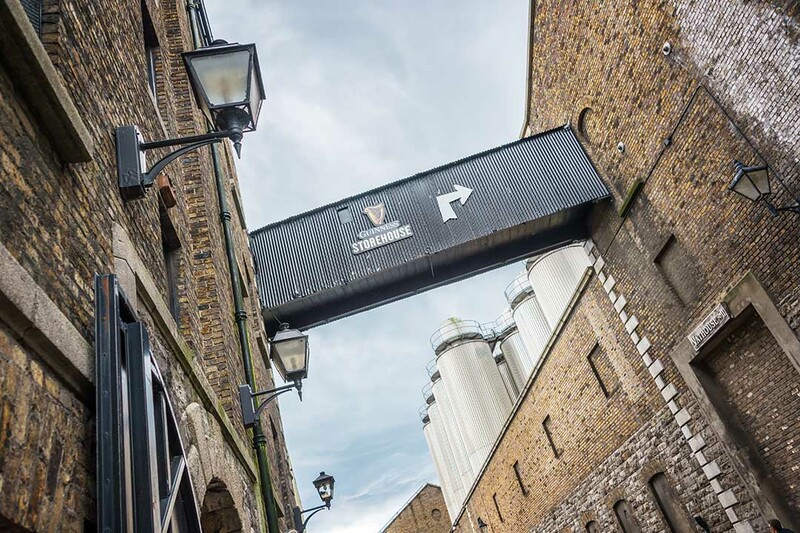 There will be time for a snack on the walking tour before heading to the legendary Guinness Storehouse. A guide will explain the history of this world-famous drink and the process that goes into making it. Not only will you be able to enjoy your own pint of Guinness on your way around, but you’ll get to pour your own pint too. Patience is the key here – the average pint of Guinness takes 119.5 seconds to serve to perfection. After the tour, you might want to rest in the hotel before dinner, relax in one of Dublin’s many parks, or stay and enjoy some more Guinness! 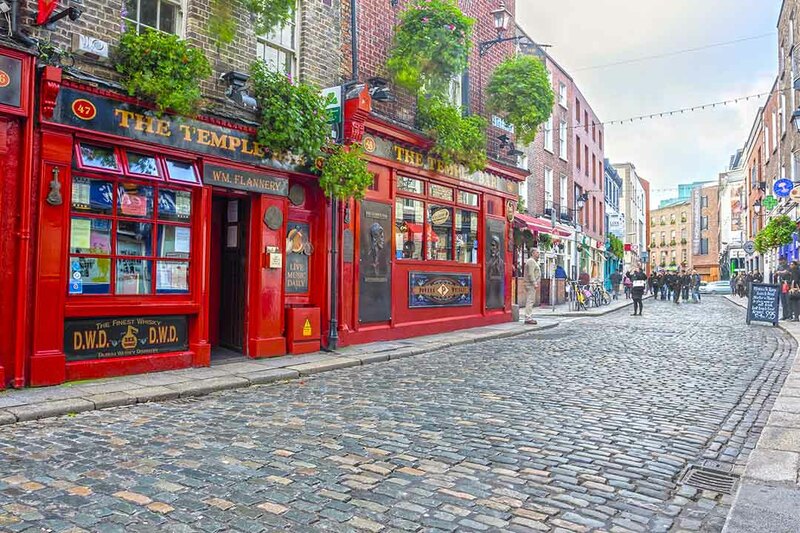 In the evening, it’s time to spend some time in Temple Bar, a lively district of Dublin where residents, visitors, family and friends gather to enjoy the atmosphere of the traditional pubs and Irish music. You may wish to join us in The Temple Bar, one of the most photographed spots in Dublin where live music is played every evening, and from there we’ll see where the night takes us! Breakfast included. Overnight in Dublin. On our second day in Dublin we explore Dublin Castle, one of the most important buildings in Irish history. Under the orders of King John of England, Dublin Castle was originally built as a medieval fortress and, over the years, has hosted VIPs such as Benjamin Franklin, Queen Victoria, Charles Dickens, Nelson Mandela and Queen Elizabeth II. This guided tour lasts for one hour and after you may wish to explore the castle and its grounds even further. The rest of the day is yours to spend at your leisure and we have a few suggestions on how you might want to spend your time. How about experiencing the countryside of Dublin? Catch the DART to Howth, a gorgeous coastal fishing village on the north side of Dublin and set out on a relaxed walk around Howth where you can visit Howth Market, follow in the footsteps of King George, and devour some fresh fish and chips by the sea. Alternatively, why not spend some time in St Stephen’s Green? This gorgeous park features a Garden For The Blind where aromatic plants and shrubs can be handled. There are also signs in braille to tell you about the horticulture in this area. 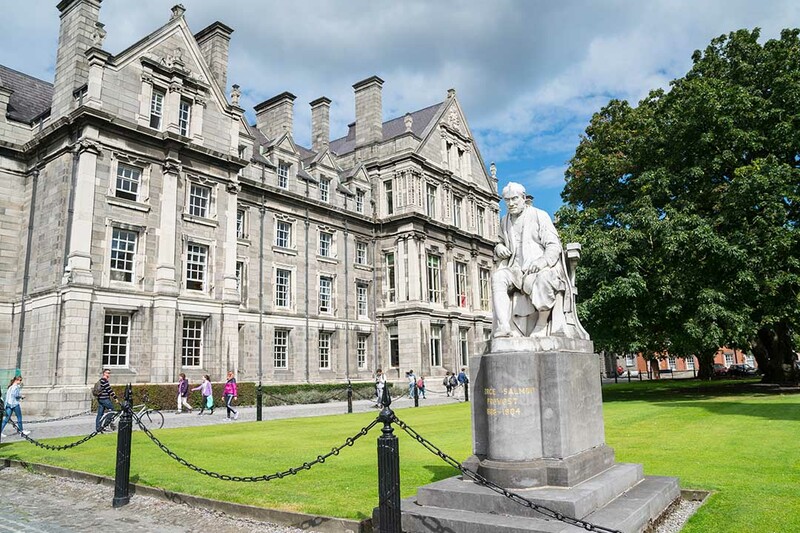 Other places you might want to explore today are Trinity College where the Book of Kells is on display, The National Leprechaun Museum or the Jameson Distillery, where you can learn about the famous Irish whiskey. In the evening, we’ll head back to the hotel for our last evening in Dublin. Tonight we’ll have dinner together as a group and share our stories from this short but sweet trip to Dublin. It’s our last day in Dublin before we all set off home. Spend the morning enjoying any sights you might have missed, then it’s time to get ready for your return journey home!